payment (in writing or orally), the Accommodation Agreement shall be deemed entered into upon the receipt of the Party’s declaration of consent on the down payment by the Proprietor. Rescission by the Party – Cancellation fee5.5 The Party may rescind the Accommodation Agreement by means of a unilateral declaration by 3 months before the agreed date of arrival of the Guest without being liable to pay a cancellation fee. Guest. Furthermore, the Proprietor shall be entitled to make use of this right of retention or lien in order to secure its claims under the Accommodation Agreement, particularly for catering, other expenses made for the Party and for any kind of damage claims. shall not be included in the calculation. Time limits based on weeks or months shall refer to the day of the week or month that corresponds to the day starting from which the time limit is to be counted according to its name or number. If the relevant month lacks such day, it shall be replaced with the last day of such month. The prices quoted are subject to legal duties and taxes and extent variable. 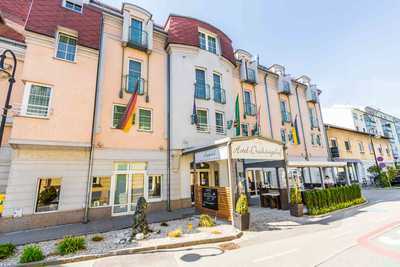 If there are changes in the legal duties and taxes the Hotel Restaurant DREIKÖNIGSHOF GmbH & Co KG is entitled and obliged to raise or reduce prices.